In the past three months we’ve been busier than ever. 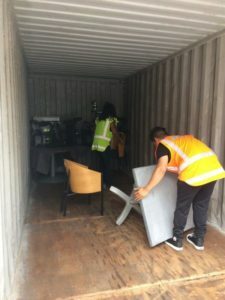 In December we had a 20ft container of hospital beds and equipment head to Pakistan where it was used in rural clinics by the Hope Rehabilitation Society. And just this week we had another 20ft container of furniture, clothing and mobility equipment leave our fine shores for the Solomon Islands. It will be used to support the Association of Person’s with Disabilities, the SIDT, Hearts of Hope (HOH) and the Women’s Refuge Centres. TMH featured in Australian Women’s Weekly.